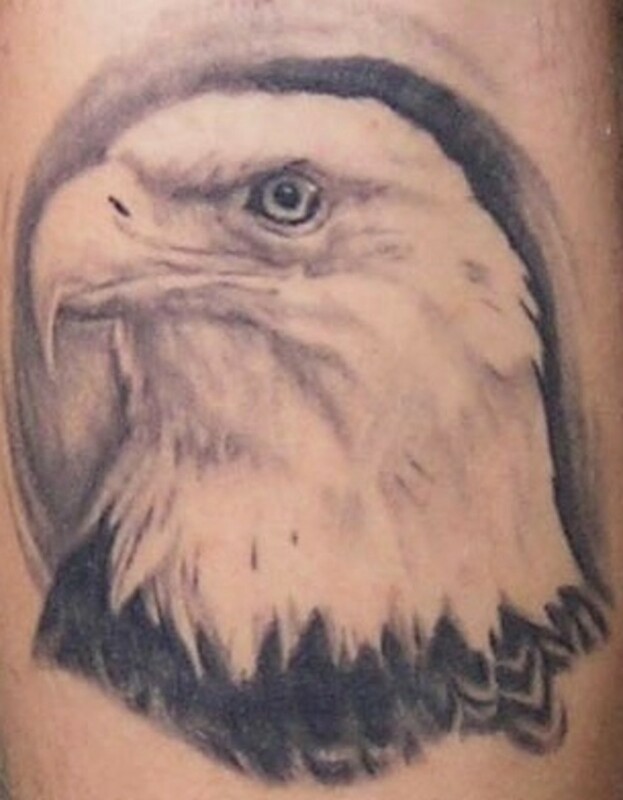 There's nothing much more majestic than the image of an eagle, and when combined with a tattoo, it's endless the versions you can make that are very compelling. Also important with eagles is they included so much detail in real life that it lends itself to fantastic art and variety, which can be placed on almost any part of the body ... and it works! Not that many themes for tattoos can say the same thing, and as you'll see with the eagle tattoos below, it's definitely the truth. 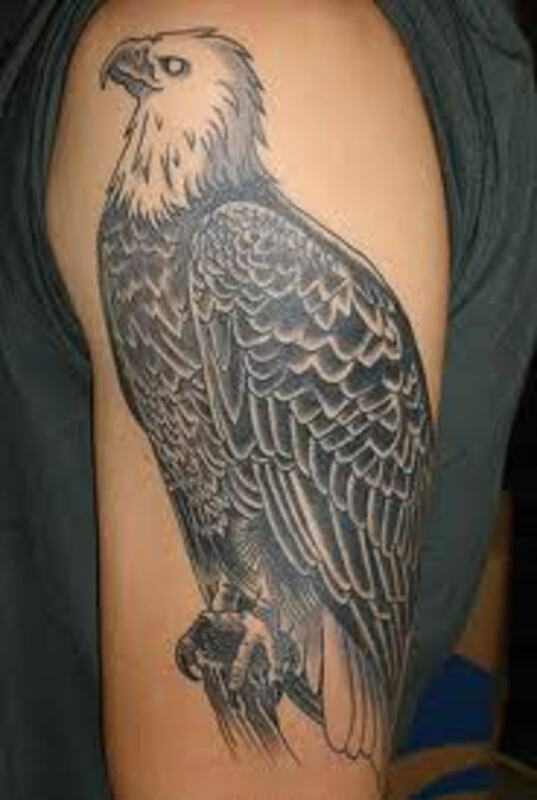 And while I don't like color with the majority of tattoos, the eagle, depending on the type it is, can be made to look extraordinary. 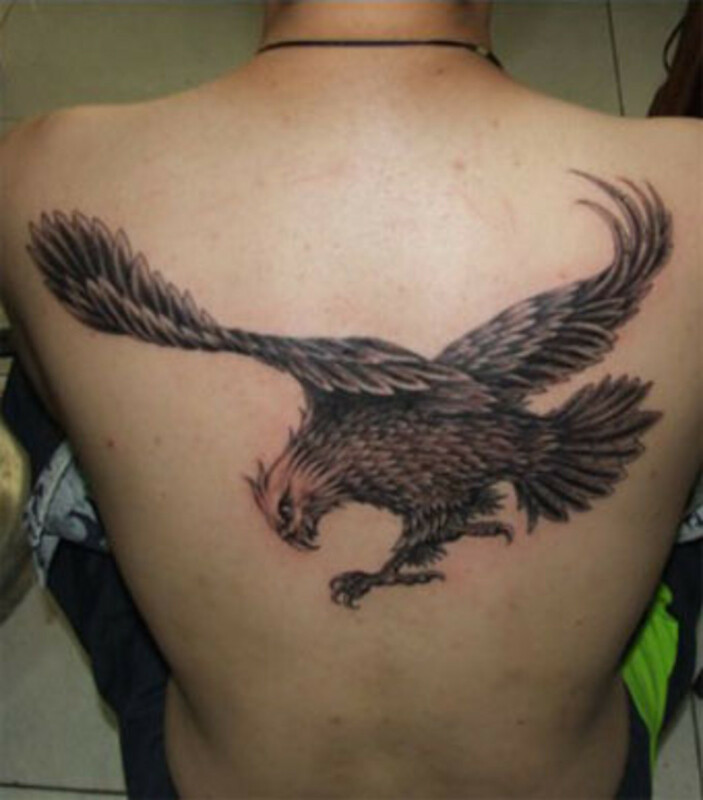 The bottom line is eagle tattoos are a great challenge and interest to an artist, and the end result when its inked on is extremely satisfying. We'll start off the eagle tattoo set with some eagle heads, as they are stunning to say the least, whether in real life of art. With the first one, it's what the majority of us think of when the idea of an eagle may come to our minds: the bald eagle. There's one word that comes to mind when we look at it, and it's "majestic." 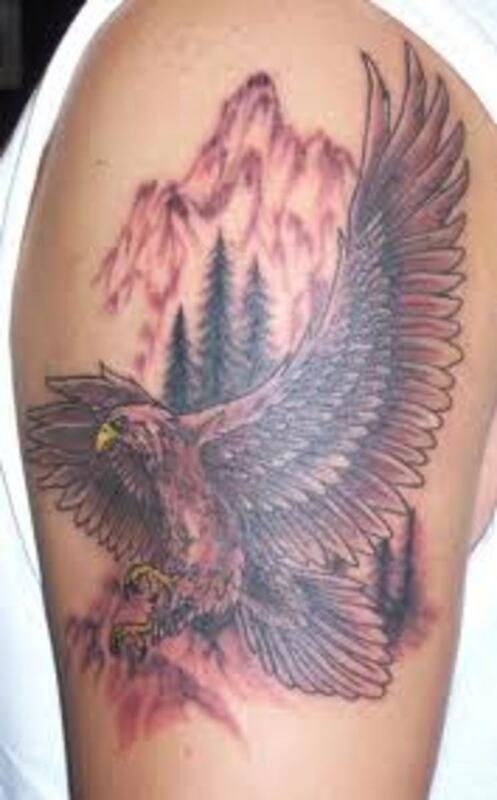 You can't miss when you have an eagle head inked on you like this. For contrast I thought I would include a bald eagle with color in it. The one below isn't bad, but I could have done without the blue. It must have been a personal taste thing. Still, not bad for color, and an interesting difference between the two. 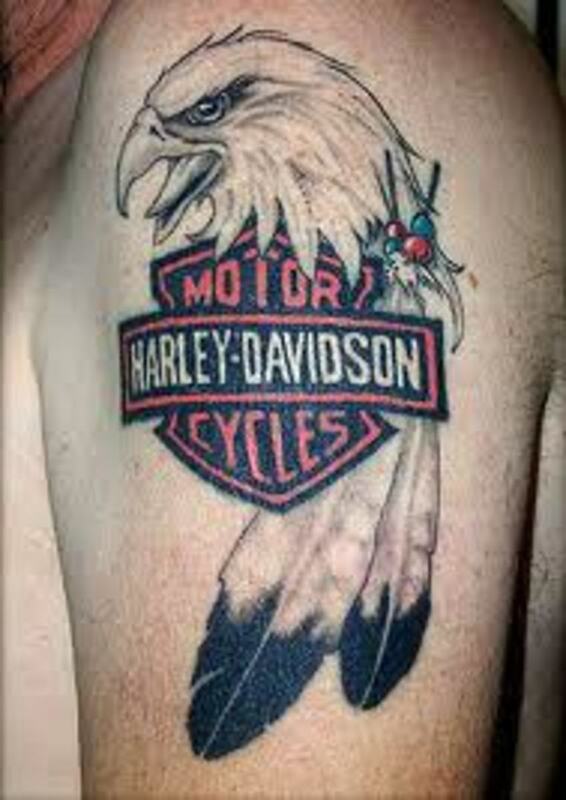 The tribal eagle head tattoo is supreme to me. The method and style really accents the strengths of the eagle image. I really like this one. Unfortunately the quality of the photo below doesn't do it justice, but it is a decent example of how you can combine an eagle with scenery. You can see the potential it has even with the weak image. Hummingbirds are among the most attractive to the average bird watcher, who make special provisions of growing flowers or artificial nectar in feeders to attract them nearby in order to watch them. Consequently it is an inspiration for lovers of the. Cows, or cattle and cowboys, seem to have been joined at the hip for as long as we can remember, and that has extended to our culture overall, making cows an interesting choice for tattoo designs; as they're not only considered a food source, but in. 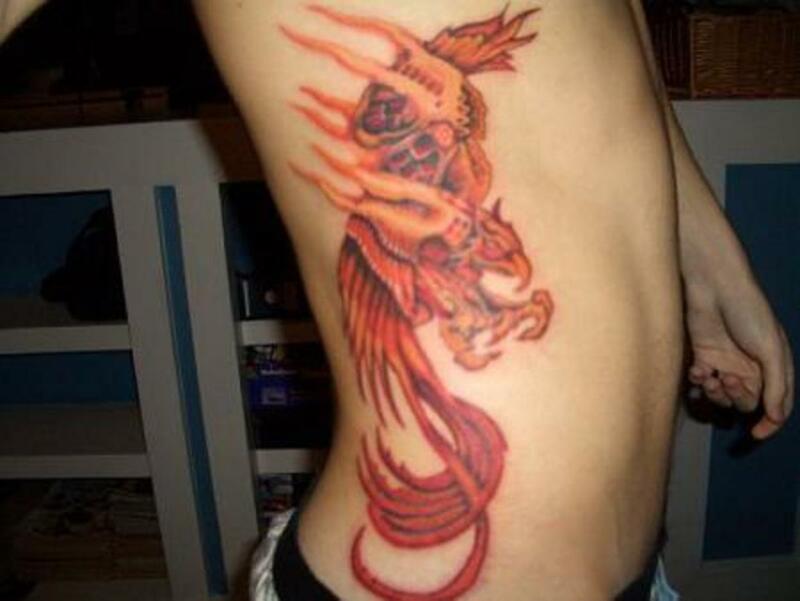 The tattoo below looks like a combination of an eagle and a phoenix, but if you take away the long tail feathers, you can easily see the eagle. It could have been artistic license taken here. 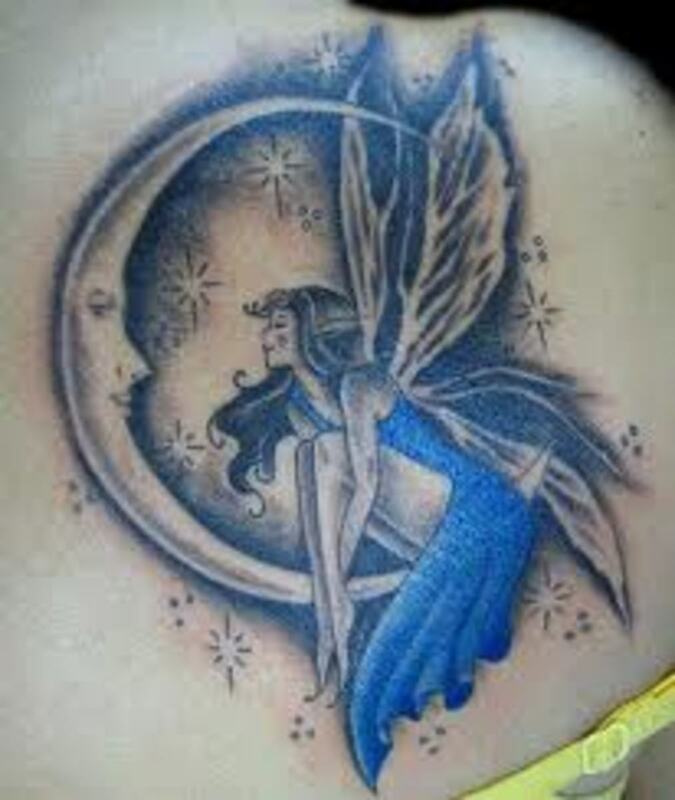 But either way, this is a nice tattoo. Even though my days of fishing have, for the most part, fled behind me, that doesn't keep the fond memories of fishing in my youth from coming back over and over again, as the great battles with fish over the years I continue to recall with delight.. 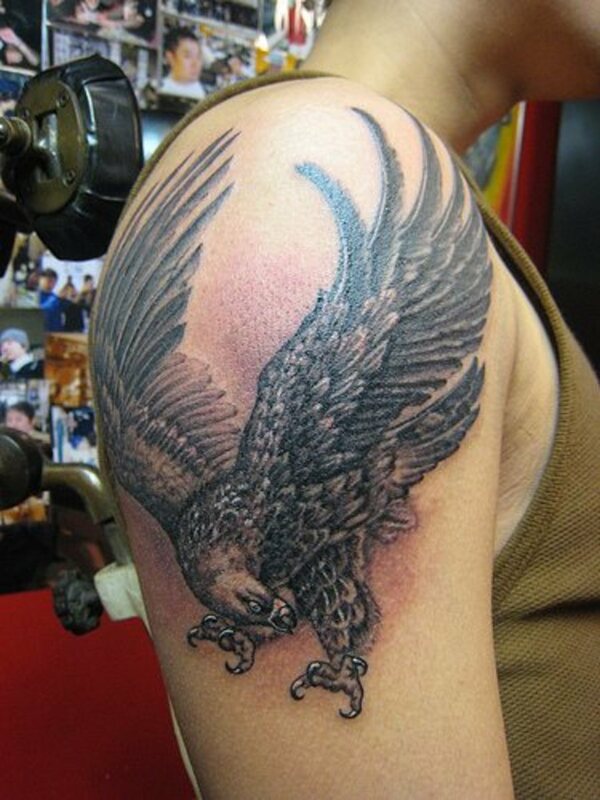 The eagle tattoo on the shoulder below is a good example of how you can use the strengths of the subject matter to work with wherever on the body you want to put it. You can see that from the curvature of the head, position of the wings, and placement of the talons. Being able to see the entirety of it is important, and you lose nothing with this tattoo. 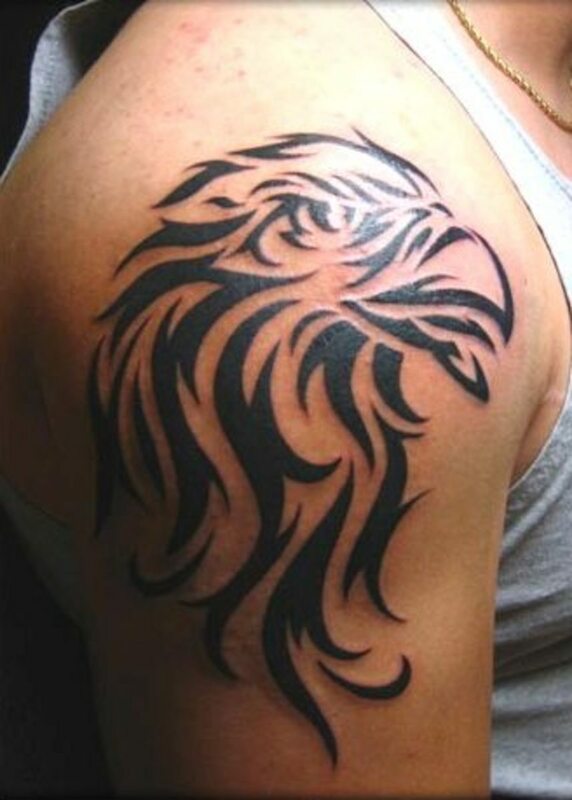 Here again we have the strength of the eagle motif, as with this tattoo on the back, you can allow the wingspan to flow out and see the eagle as you would if was approaching prey. Very nice. 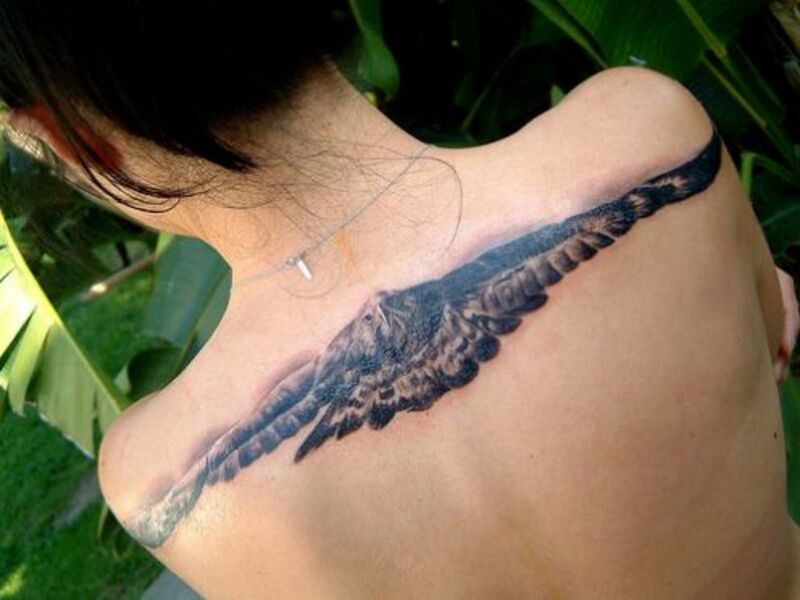 Last but not least is the amazing eagle on the woman's back. Again it shows the diversity of ways you can display an eagle, and it seems no matter what you do with it, it ends up with a great and compelling image. 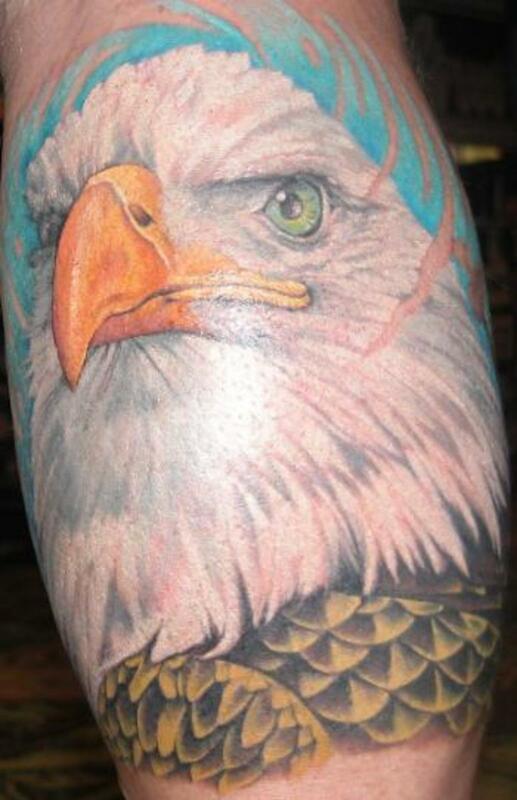 As far as wildlife tattoos go, the eagle is right up there on top as to my favorites to look at. And while it takes a talented artist to bring it to this level, as the same time the reputation and appreciation of the eagle brings something majestic to the theme, and it doesn't get much better than that.